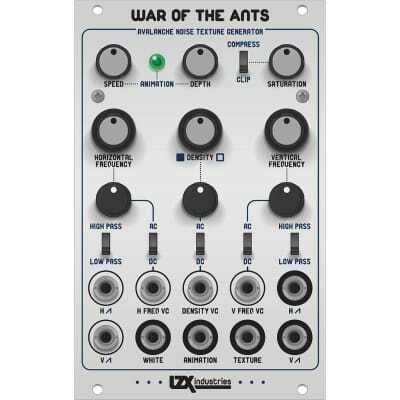 Ants is a 'experimental interface' and was created by a fortunate accident during other electronic research. After that it took on a solid form as a music and electronics exploration tool. A capacitor is placed in 1-4 slots. The output is driven high by touching the touch-points to create hysteresis (or by triggering its input), where shortly after on the falling-edge a release is created following the characteristics of the added capacitor (and a sub-circuit). 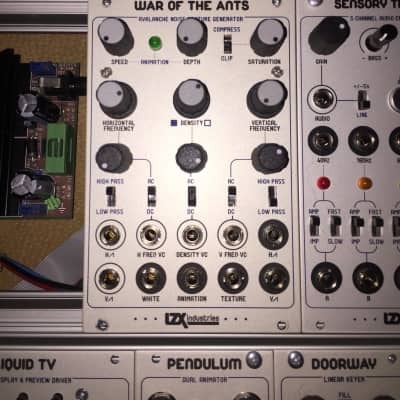 Unique sounding & very long releasing slopes can be found, all depending on the capacitor specs. The pin-headers (so called 'slots') can be used to explore components and crossings between channels. For instance adding a wounded copper wire to the top pin-header of a slot can create a field and act as a distance antenna for your hand/body. Comes with a small bag of components.